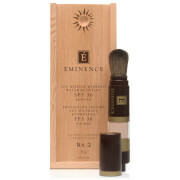 Eminence Herbal Eye Make-Up Remover effectively sweeps away makeup residue to leave skin clean, clear and unclogged. Ingredients such as green tea and comfrey also work to keep sensitive eye skin healthy and beautiful. Your eyes are the windows to your soul, so why leave them clouded and covered with uncomfortable product? 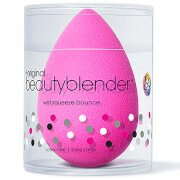 Saturate a cotton ball with product and gently wipe over closed eyelids until all makeup has been removed. This product works great for eye makeup and other make up. It's fast, easy and, most importantly, it doesn't burn or leave residue! Non irritating and easy to use. Best eye makeup remover have ever used! Very gentle but effective eye make-up remover that is good for your eyes. Not greasy. Bottle design is outstanding. This makeup remover is a good value and lasts a long time. It does sting however, if it gets in my eyes while removing my mascara. I've purchased it several times because it works well and I just tolerate the sting. This makeup remover is easy to use and not greasy. I like the way the container dispenses the product so you don't waste product. 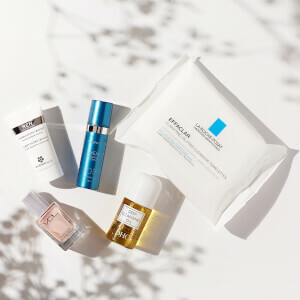 You don't need much to get makeup off. Non irritating and easy to use! 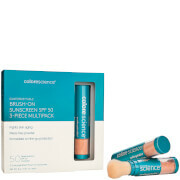 This product removes makeup easily and is non irritating. The bottle design is great and makes using product time efficient and does not waste product. This makeup remover removes makeup easily and is non irritating. The bottle design makes it very easy to soak a cotton pad without wasting the product! I use Dior Mascara and this can remove all the residues. Yeah! It's gentle and doesn't irritate my eyes. I also love the bottle design, very easy to soak the cottons but not over-pouring the product. I dislike most eye makeup removers because they leave an oily film on my eye. Not this one. Removes eye make up easily, and no residue. My new favorite! This eye makeup remover is fantastic! Definitely the best I've ever used because it actually works, but is still so gentle!